My Audi Connected Car is a 2014 S7. I got it the beginning of June, and I have been learning how to use the Audi Connect service. 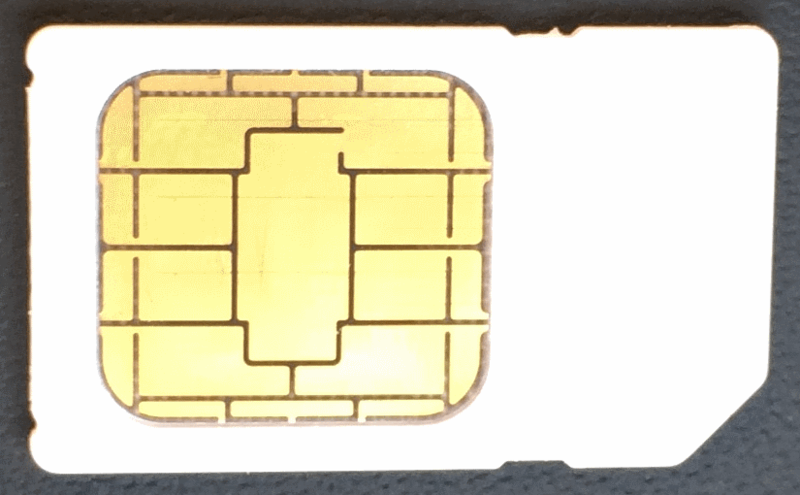 In my Audi S7, it has a T-Mobile SIM card, connecting it to the T-Mobile US 3G/UMTS network – the first 6 months of usage is free. I have turned on the Audi Connect service, linked it with my Google account, linked it with the iPhone App. I even turned on the Wifi hotspot in my car. It all works pretty good. 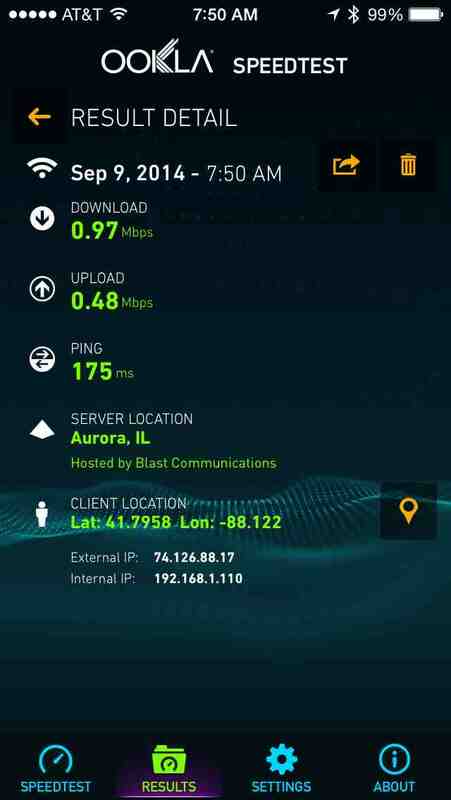 My T-Mobile service is data-only — I see no way to use the TMO voice or text features. Online Destinations. 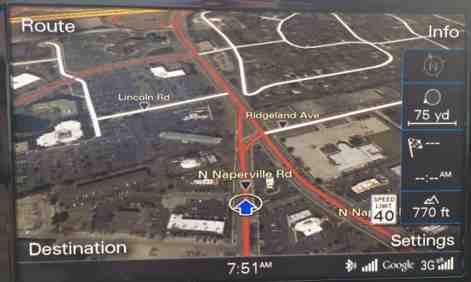 I can enter addresses onto an Online Destinations form; these addresses will show-up on my Audi S7′s navigation menu. Car Finder. 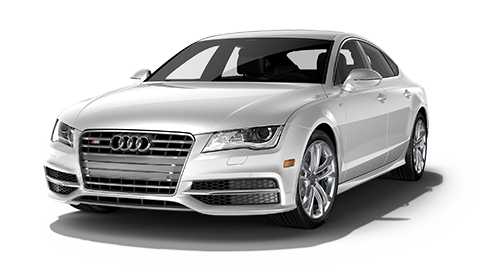 I setup the Audi S7 to report it’s GPS coordinates when ever the car shuts off. 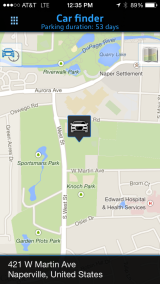 The Car Finder feature lets me find where my car is parked. This is a nice feature, but a little gimmicky for me. So if I am going to visit some place new to me, I can look up the address on Google Maps, save it with the “Send to Car” option and have the address show on a menu in the Audi S7 Navigation menu. Really cool. I like this feature. I can erase saved destinations using the mobile app. 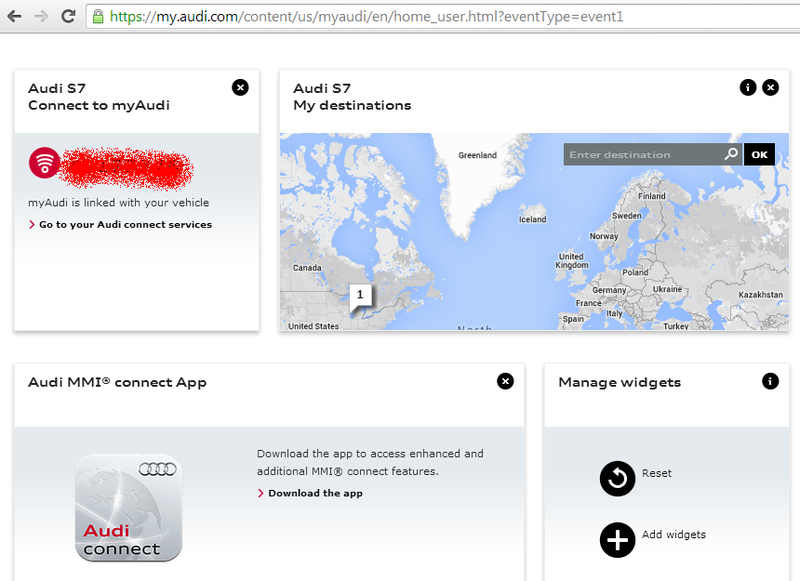 To setup the Audi Connected Car service, I got a login on the myAudi portal, my.audi.com. The portal helped me setup the Destination From Google Maps and Destination Input Services. The portal required me to enter my VIN number, and it gave me a key to use when setting up the car. The MyAudiConnect website links the Audi’s TMO service to the myAudi service. 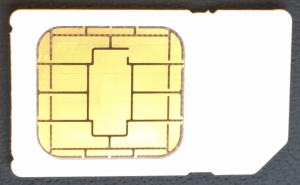 The key parameters are the 19-20 characters printed on the SIM card (technically known as an ICCID — see the SIM wiki) and the car’s 17 character VIN number. The Audi Connect Car uses T-Mobile. The My Audi Connect portal’s drop-down menu also lets you choose AT&T. As near as I can tell, I will never get a bill directly from T-Mobile. It appears to come from Audi — but I am sure T-Mobile is getting paid. The screenshot above indicates that my Account is active, but my Audi Connect and Wireless Networks are inactive — that’s correct, the car is parked, off, in my driveway. Also, it is hard to read, but the two airbrushed-out fields above are the car’s VIN number and the T-Mobile SIM card number. Sorry if I got carried away with the red stuff. The display shows an “Online destination” option and from there, the destinations that you set using the Google Maps “Send to Car” option are found. Google Search. The traditional in-car Navigation systems have a very good database of point-of-interests and street address. The Audi Connected Car lets you use a direct Google search to find nearby or destination-city destinations. Below are screen shots directly from Audi Connect information services. 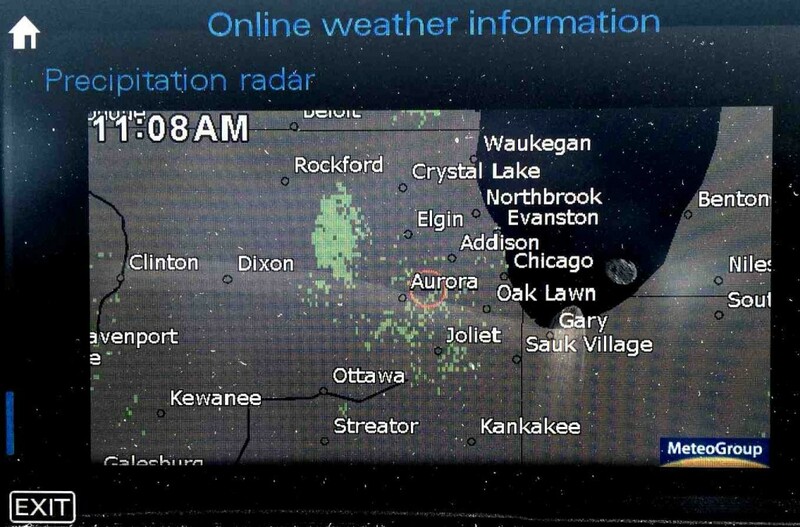 First there’s a menu of simple services (not linked with Google), and below that is a screen capture of a radar weather map. The content is formatted special for Audi and is not real websurfing. The car’s dashboard has a slot, hidden by a folding door, where the SIM card slot and two SD card slots are found. Note: only the SIM card is plugged in for the picture below. 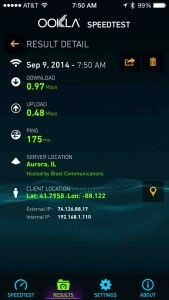 The car lets you setup a WIFI hotspot that routes through the TMO UMTS/3G data service. I tried it; it worked ok, but it’s not as fast as our 4G/LTE data service and I am not really sure why I’d ever want to use this — maybe for a guest?